This review is courtesy of guest blogger Laura Hogan. I’m not a big fan of time travel novels, but I do seek out variety, so I thought I would give Life II a try. 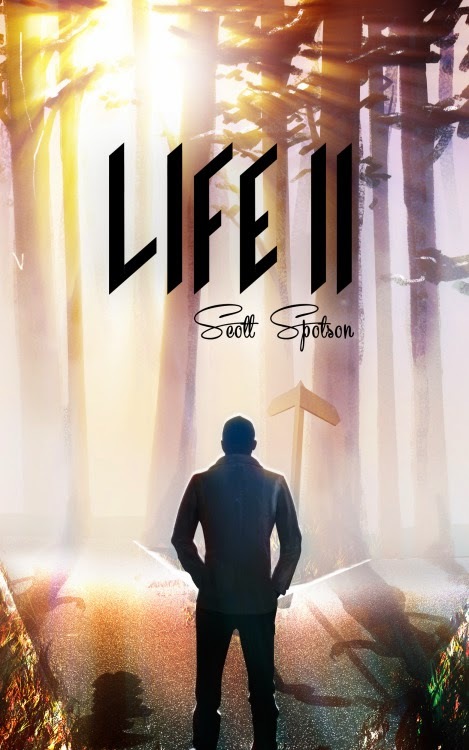 Life II is a first novel written by Scott Spotson chronicling the life of Max Thorning as he embarks through Time travel with the help of Dr. Time, a seemingly benign alien who is the guardian of the Time Weaver. The Time Weaver is a device that has control over all eras of Time on Earth’s history. Follow Max’s dilemma as he goes back to his 16-year-old self and tries to change his destiny into a new one called Life II. This is a light and readable novel, despite its 600+ pages. It stimulated some interesting thoughts about who we are and the choices that we make. The 42-year-old main character (Max) chooses to go back to when he was 16 years old, re-living the prime of his life with a certain advance knowledge. He has some noble intentions, from seeking to save his parents’ marriage to pursuing a medical degree. The problem is that this is a lot of ground to cover. The story seems to jump from one issue to another, without sufficient time to develop it in depth. Thus, one awkward conversation must suffice to solve each problem, which had a tendency to resurface anyway. It's regrettable that the potential of this novel was lost. In his first life, Max had two children, Brandon and Angela. He is told point-blank before his time travel that should he choose to go back to before their birth, these particular children would not be born, as each conception is unique. How could that not be the breaking point for him? How could someone be so dissatisfied with his marriage, career and circumstances that he would choose to give up beloved children, already in existence? Had it been the story of a man who at least believed that he could go back and re-create his child(ren) while changing everything else, that would have brought both verisimilitude and focus to the tale. Ultimately, however, my impression was that the fault was in the editing, rather than the writing itself. Life II did leave me thinking about living my life over again (perish the thought), about how we make the decisions that we do (debatable) and about long-term consequences that result from these decisions (there are pros and cons to everything). Because the whole is greater than the sum of the parts, I would give it a 3.25 out of 5. Note: This book is rated G. It is a clean read. Disclosure: Thanks to the author for providing this book for review. I was not compensated in any other way, nor told how to rate or review this product.